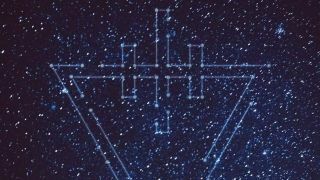 The Devil Wears Prada have given full details of their upcoming EP Space. The six-track CD will be issued on August 21 via Rise Records and marks their first official release since 2013’s 8:18. As previously announced, the lead track will be Supernova, which is now available to stream below. The band issued the Zombie EP in 2010 and they say they learned lessons that have been used in making Space. Vocalist Mike Hranica says: “We learned a lot from the Zombie EP. We wanted each song on the Space EP to have a specificity about it, to have its own identity separate from the others, to have its own sound, but still have them all united in concept. We talked about a lot of different themes, but ‘space’ just felt right. In March, the band parted company with guitarist Chris Rubey, who was replaced in the live lineup by roadie Kyle Sipress. The band go out on tour as part of the Rockstar Energy Drink Mayhem Festival alongside Slayer and King Diamond, and also have a number of headline dates lined up.